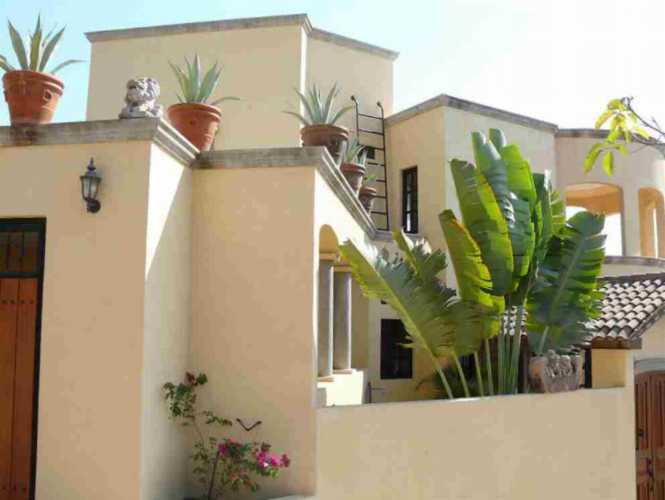 Casa del Viento meaning "House of Breeze" is a 5 bedroom 6 bathroom 4 Kitchen's home perched on the hill capturing the cool pacific breezes while overlooking the Bay of Tenacatita, the village of La Manzanilla, and surrounding jungle views. This architecturally designed Careyes style home is situated a 10 minute walk to the playa and village. Includes a beautiful swimming pool/lounge area and cabana. The home is a successful rental income property. The contents of this site are copyright © 2014, Daniel Hallas. All rights reserved.